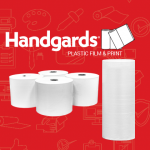 Handgards offers food storage solutions for every application and every need. Our TuffGards® High Density bags prolong product freshness and extend product shelf life in coolers and freezers. Perfect for storing and keeping prepared salads fresh in a cooler. Keeps individually wrapped bread, sandwiches, and hamburgers tasting fresher right out of the warmer.